The vast array of plant life that inhabit this earth has proven to be a great muse for humanity. People have used the ample pool of imagery provided by plants to create gorgeous works of art and what is dermatology if not a visual art? The countless colors, textures, shapes, and sizes displayed by plants have been used by dermatologists as a source of inspiration for describing the skin and its pathology. Arborization is a ubiquitous term used to describe everything from the vessels of a basal cell carcinoma to the dendrites of melanocytes. Not to be outdone by its branches, the leaves of a tree as well as the tree itself have also made their “mark” on the field. Leaves are mentioned in the “maple leaf-like” features of basal cell carcinoma seen with a dermatoscope as well as the ash leaf macules of tuberous sclerosis. Allusions to trees are seen when describing the Christmas tree pattern of pityriasis rosea and mycosis fungoides.1 The skin of the rare condition epidermodysplasia verruciformis has been described as resembling tree bark. Lichen, whose basic meaning is “tree moss”, is used in the description of various skin diseases including the various dermatophytoses, atopic dermatitis, and lichen simplex.2 Trichorrhexis invaginata, “bamboo hair”, is a marker for Netherton’s syndrome. The term corymbiform, used to denote lesions resembling a cluster of flowers, has been used to describe syphilis, molluscum contagiosum, and in the histologicappearance of trichoblastomas.2 Floret cells can be present in giant cell fibroblastoma, pleomorphic lipoma, and giant cell collagenoma. The rose spots that bloom in typhoid fever and the heliotrope rash of dermatomyositis also allude to flowers. The epithelial islands seen on top of granulation tissue beautifully depicts the Latin meaning of the word granum, meaning seed. The not so pleasant traits of plants are also used to illustrate the characteristic features of skin and disease. The term urticaria originates from the cruel encounter with plants of the family Urticaceae. 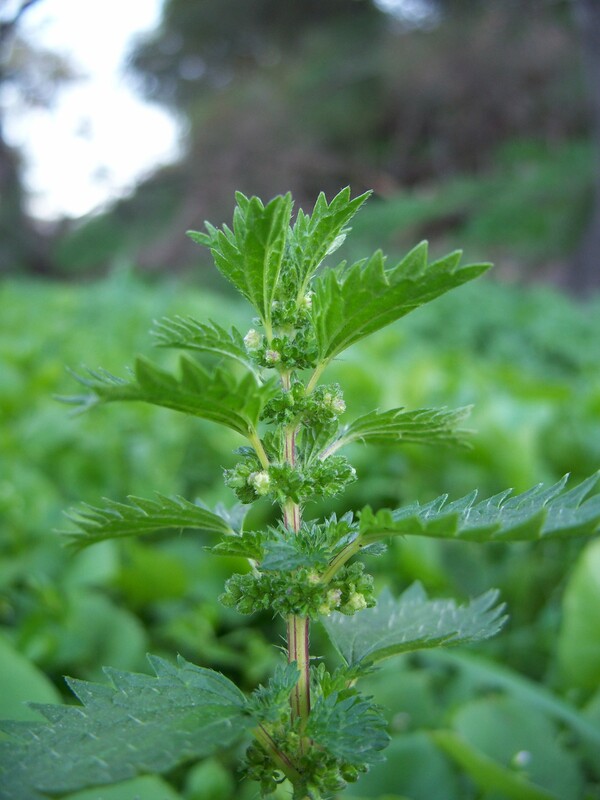 Members of this family, particularly Urtica diocia (commonly called the stinging nettle) and Urtica urens (known as the burning nettle), are well known for the stinging hairs on their leaves and stems. In 1863 the German physician Max Schultze described the stratum spinosum as the “prickle cell” layer of the skin to denote its resemblance to the prickly pear,3 a species of cactus called Opuntia ficus-indica. Acanthosis “stems” from the Greek word akantha meaning a thorn or prickly plant. The dermatologic vocabulary is rife with botanical references and consideration of the origin of these terms can give us a greater appreciation and understanding of dermatology as a whole. Wollenberg, A, Eames, T. Skin diseases following a Christmas tree pattern. Clinics in Dermatology. 2011;29(2):189–194. Fortuine, R. The words of medicine: sources, meanings, and delights. Springfield, IL, U.S.A.: Charles C. Thomas; 2001. Harlingen, AV. Text-book of diseases of the skin. Philadelphia: Blakiston; 1907. Author Bio: Jorge Roman is a third year medical student at the University of Texas Medical Branch. When he is not playing with his 2 adorable cats, he enjoys writing about the humanities and history of medicine. He particularly loves to explore the role of skin disease in the human experience and the art of dermatology. Email. This entry was posted in Jorge Roman and tagged art, botanical, dermatology, names, plants by humanemedicine. Bookmark the permalink.